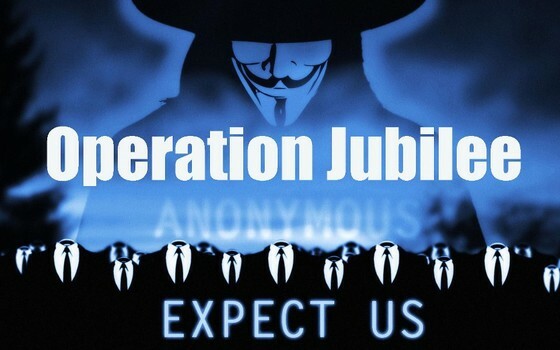 Anonymous hackers claimed that they compromise over 20 million user accounts worldwide this year to promote Operation Jubilee. Large community web sites were targeted to gain access to users' contact information. Many administrators denied that their databases were at risk while all their data was being downloaded. The reason for one of the largest hacking campaigns in history is to rally people to cancel debt and end the economic crisis. Earlier this month Operation Jubilee came into public view after defacing several popular police forums. 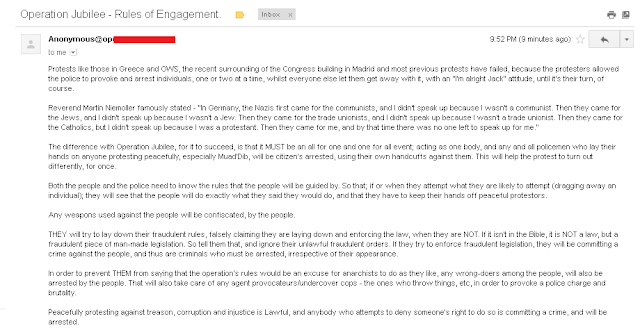 Members of the police forums received e-mail inviting them to join the Operation. News of the defaces spread quickly with the help of social media platforms. Until these events, Operation Jubilee was virtually unknown to the general population. Unbeknownst to the public, large web sites were already being attacked for months. Operation Jubilee is a peaceful protest to take place on the 5th of November in front of Parliament in London. 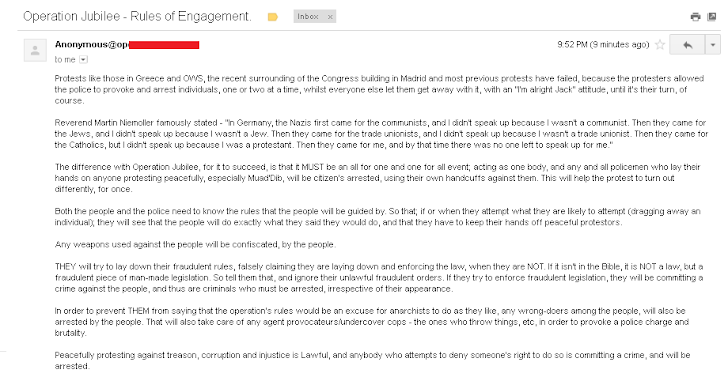 Millions of people have received e-mail messages containing the Rules of Engagement for the Operation. Controversy has sparked around the declaration that protesters will confiscate any weapons that are used against them. The Rules of Engagement state that anyone, protester or police, that causes violence will be subdued. The stated goal of Operation Jubilee is to cancel all debt. Anonymous has become aware of the collective's potential for social change and is now actively pursuing campaigns for justice. The reason to cancel all debt is to end the economic crisis, end poverty, and cut off the financing for the wars. The name Anonymous has become synonymous with hacking and protest, but it is difficult to define Anonymous. Many people think of it as an organization, but Anonymous is not organized anyone can become Anonymous by being Anonymous. Anonymous is the idea that anyone can become the change they want to see in the world by hiding their identity.